For over 14 years Supah Frans has been top Spanish Reggae selector creating a big iration in every dance-hall and growing up the Spanish Reggae/Dub scene. He developed an obsession with Reggae music that generated a big knowledge of the culture and history of Jamaican music. His earliest official experience of deejaying was on 2005 on a little club on Girona (Spain) with the sound called Supah Cannabinol. 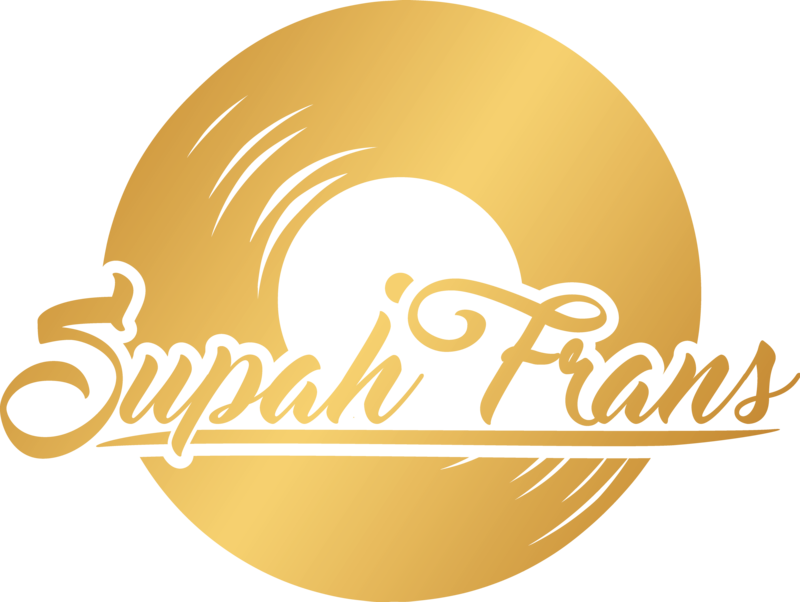 As a Selector, Supah Frans has been described in many ways but exclusive, energetic and innovative are the 3 best ways to describe Supah Fran’s Style. He has the ability to take control of the dance floor and to energize the crowd that is on it. He brings the excitement of Jamaican music to your event, festival, corporate party or dance. He plays a unique collection of customized dubplates, specials and large finest all styles of Reggae vinyls collection. On 2007 Supah Frans started to play as official selector for Ponchita Peligros touring around Spain and top European festivals. After hundreds of live shows until today he performed live with other deejays and singers as Parly B, Monsieur Lezard, Hermano L, Benjammin, George Palmer, Tomawok, Irie Nanara, Yeyo Pérez, Rebel Congo, Natty Nature… a the list goes on. Supah Frans began his Reggae broadcasting career on 2013 on RNE3 (National radio of Spain) on the show called La Casa del Dub (The house of Dub) spreading Reggae vibes to thousands of loyal Spanish Jamaican music fans. They were interviewed by TV2 (the national TV of Spain). From 2015 until today Supah Frans moved to the online broadcasting station Dubforce Radio “The Station for soundsystem and bass culture” and started “Rub-a-dub Ting radioshow” where he is playing every two Mondays 20:00 – 21:00 UK TIME. Day after day, year after year Supah Frans create a big contact network all over the globe uniting singers, deejays, producers, musicans… and all of it is mixed at Jump & Prance studio & label to offer some releases to create fresh new music to the Reggae scene. Jump & Prance studio, label and dubplate service worked for artists as Johnny Osbourne, Jah Thomas, Little Harry, Purpleman, Ponchita Peligros, Tenor Youthman, Lasai, Ras Jahshua, Dubtime, Bernard Collins, Likkle Ferguson, George Palmer, Yeyo Perez… and the list goes on. Jump & Prance release songs of artists as Lasai, Tenor Youthman, George Palmer, Daniel I, Ganjah Friend, Natty Nature... We are working hard to release new big hot tunes.